Nvidia's earnings for Q2 2018 seem to have been boosted in part by the cryptominers who hog GPUs to increase the profitability of the Ethereum miners. Revenues for Nvidia are up 56% from Q2 2017, cumulating US$2.23. GPU cryptomining is once again profitable with cryptocurrencies such as ZCash, Monero, Dash and Ethereum appreciating in price this year. Miners have been hogging GPUs ever since March 2017 and this created a shortage of GPU stocks all over the world. Prices for the mid-range models like Nvidia’s GTX 1060 and 1070 or AMD’s Radeon RX 470 and 570 increased as much as 33%, leaving gamers irritated and concerned. 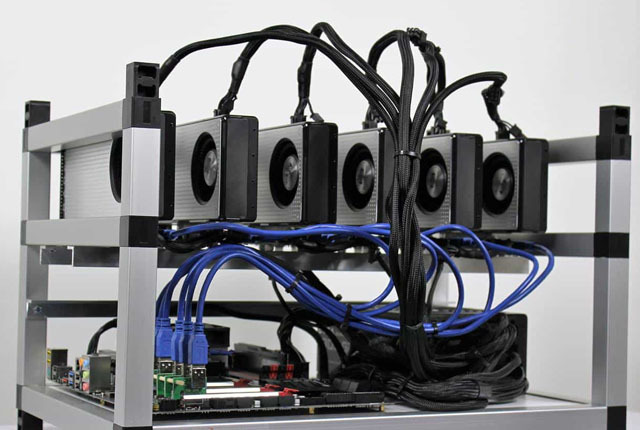 With this great demand for GPUs, it may come as no surprise that Nvidia’s Q2 2018 earnings increased considerably and Nvidia said it is aware of the conflict of interests between gamers and cryptominers. Nvidia disclosed yesterday their figures for the second quarter of the 2018 fiscal year that ended July 30 2017 (turns out Nvidia’s fiscal year is calculated one year ahead). Nvidia reported revenues of $2.23 billion, up 56% from Q2 2017. Operating income generated was $688 million, up 117% compared to Q2 2017. Net income was $583 million, up 123% year-over-year. 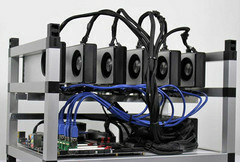 The company will ramp up the production of cryptocurrency-specific cards, but even Nvidia has its limits, and if this cannot cover demands from both miners and gamers, the supply problem could once again become a hot topic.